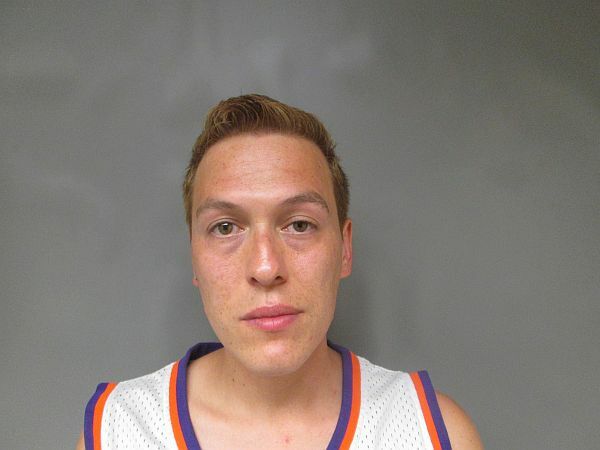 Lebanon NH – On July 04, 2018 at approximately 12:50PM, the Lebanon Police Department received a call that a male subject had threatened several people with a knife in the area of the Granite Street and West Street intersection. Responding officers determined the male suspect had entered an apartment at 17 West Street. They shut down the roadway and secured the perimeter of that address. Investigating officers determined the armed suspect was James E. Wallace, age 33, of 17 West Street, and that he had threatened several people with a large knife after a car had turned around in his driveway. Officers attempted to make contact with Wallace but he refused to come to the door. Officers from the Lebanon Police Department Tactical and Containment Team, along with officers from the Patrol Bureau, continued trying to make contact with Wallace. Tactical Officers deployed the department’s armored vehicle and through use of the Public-Address system, successfully encouraged Wallace to exit the residence. He was then taken into custody without further incident. Wallace is charged with Criminal Threatening with a Deadly Weapon, a Class B Felony.